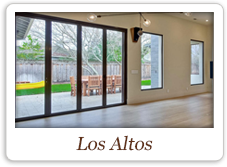 New contemporary project in Los Altos, California. Custom Thermally Broken Aluminum Windows and Exterior Doors. Check out the pictures on our website.